IN an open letter to Postmedia CEO Paul Godfrey, and copied to the editors of the Vancouver Sun, Ottawa Citizen and National Post, World Sikh Organization President Mukhbir Singh expressed his concern at recent coverage of the Sikh community in Postmedia newspapers. The World Sikh Organization of Canada is a non-profit human rights organization registered in Canada. Founded in 1984 with a mandate to promote and protect the interests of Canadian Sikhs, as well as to promote and advocate for the protection of human rights for all individuals, irrespective of race, religion, gender, ethnicity, social and economic status. We are writing to you today to express our deep dissatisfaction and concern at how the Sikh community has been portrayed within Postmedia newspapers in recent weeks. As you know, Canada has welcomed millions of newcomers from around the world. Our country has not only been a welcoming home, but we have also done exceptionally well in integrating these newcomers into Canadian society. Canada has been enriched by the contributions of these successive waves of newcomers, but we cannot take our success up to this point for granted. As a major actor in the Canadian media landscape, we feel that it is your responsibility to ensure that your publications are not undermining the social fabric of our country by promoting an alarmist approach towards or false information about any particular community. Regrettably, there has been considerable misinformation spread about the Sikh community by your publications recently. On March 7th, Terry Glavin of the National Post published a column, “A short history of Canada and Khalistani terror”. 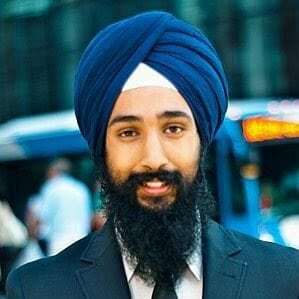 On March 10th, Douglas Todd of the Vancouver Sun published a column, “Why Sikhs are so powerful in Canadian politics”. On March 16th, Todd followed up with “NDP could suffer from Jagmeet Singh’s links to ‘blood hatreds,’ say observers”. On March 18th, Martin Collacott wrote a column for the Vancouver Sun entitled, “Sikh political power in Canada under scrutiny”. Todd’s columns and Collacott’s column are filled with stereotypes and gross generalizations. It is suggested that Jagmeet Singh, a major federal party leader, is influenced by an imported “blood hatred” along with many other members of the Canadian Sikh community. Gurdwaras across Canada are depicted as battlegrounds for ‘moderates’ and ‘fundamentalists’ who compete for power and influence that is exercised by then controlling the Sikh vote which follows their lead en masse. This is all not only misleading and offensive but also very damaging to the Sikh community. Terry Glavin’s column is littered with falsehoods that portray Sikhs as murderous thugs. Glavin refers to Khalistan, a Sikh state sought by some Sikhs as an “ethnically cleansed theocracy”. The accusation that Sikhs who believe in Khalistan favour ethnic cleansing is completely false and paints a picture of Sikhs as genocidal maniacs. Glavin specifically accuses Sikh Leader Sant Jarnail Singh Bhindranwale of possessing a “genocidal hatred of Hindus” without presenting a shred of evidence. Glavin’s suggestion that Pro-Bhindranwale, Khalistan-supporting Sikhs are in favour of ethnic cleansing and genocide is deeply troubling and completely untrue. The underlying messages of these columns [are] unmistakable: Sikh political power in Canada is illegitimately obtained, that Sikhs are overrepresented and that they are an insidious threat to Canada’s political system and democracy. The columns noted above encourage readers to be wary of Sikh engagement in Canada and see the community as a negative force. We do not like to casually throw around the accusation of racism but these columns are undoubtedly spreading racism by encouraging Canadians to be resentful towards the Sikh community for its successes. As such, publishing these columns was deeply problematic. The media plays an integral role in any democratic society and it should carry out that role responsibly. This means that Canadian media must be mindful that its reporting does not undermine the social fabric and cohesiveness of Canada’s multicultural society by feeding racial resentment. Too often, we feel like your publications have failed to meet that important test. There is perhaps no more serious threat to Canada’s long-term success than the proliferation of racism. It is a potential threat to Canada’s national unity and we take it very seriously, as proud Sikhs and as proud Canadians. In response to the columns noted above, Sikhs from across Canada have expressed to us their hurt and disappointment. We are writing with the hope that you will take this as an opportunity to address the community’s concerns. We look forward to your timely reply to this letter.